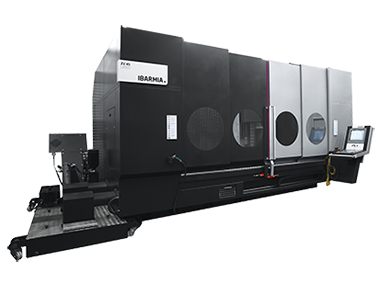 This series of machining centres of fixed table and moving column with vertical spindle are named CLASSIC for being the most similar to that model launched in 1986. The mechanical and electronic improvements along these years are endless but some fundamental concepts have not been modified. We continue using cast iron to build the moving structures of this Series. The main spindles are provided with heavy duty bearings to ensure the maximum rigidity and material removing capacity. The belt and pulley transmission offers medium speed ranges with a very high reliability. Due to the tall construction of this machine series, the full enclosure of the working area is made on request.